Some migrant families have been reunited, but thousands more remain separated. Three days after President Donald Trump signed an executive order to end the administration's policy of separating children from their parents when caught illegally crossing the southern border, much is left to be sorted out. An administration official said on Friday evening that U.S. Customs and Border Protection "expects that all unaccompanied children in their custody who were separated from adults who were being prosecuted will have been reunited with their families." But the news comes with a large caveat. The statement only applied to children in CBP custody, those who had not yet been turned over to the care of the Department of Health and Human Services. The majority of children separated from parents are in the care of HHS -- and there's no real plan as for how to reunite them. Of the about 2,300 separations since May 5 -- when the Trump administration's "zero-tolerence" policy went into place -- about 500 were reunited by CBP before going into HHS custody. Thousands more remain in custody and HHS has not released information as to how many, if any, have been reunited with parents. Attorneys who represent clients currently separated from their children remain in limbo. "It's devastating because I already know when I meet them for the first time and they start telling me that they are this parent that I'm not gonna have the answers that they want in any time that they should have," said attorney Erik A. Henshaw, who works in the Western District of Texas in El Paso. "I'm not gonna be able to tell them right then and there, 'Don't worry, we'll find your little boy, we'll find your little girl.' I have to tell them honestly I don't know if and when we're going to find them. "I don't know if I'll find them during their case. I don't know if it'll happen when you get to immigration proceedings. I don't know if you're going to be deported or removed and have never actually found and/or had contact with your child," Henshaw added. 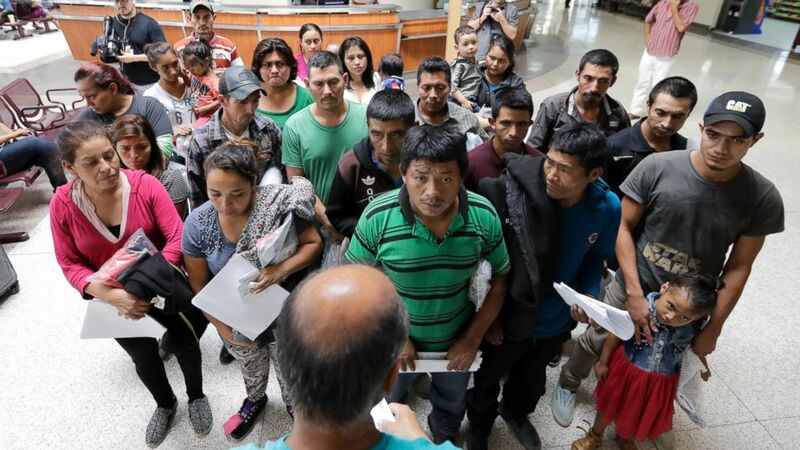 (AP) Immigrants listen to instructions from a volunteer inside the bus station after they were processed and released by U.S. Customs and Border Protection, Friday, June 22, 2018, in McAllen, Texas. Officials this week continue to look for locations to hold a swelling number of migrants caught at the border. Earlier this week, HHS requested that the Pentagon be prepared to house up to 20,000 unaccompanied migrant children at U.S. military bases. An internal memo obtained by Time Magazine, showed the Navy was planning to use remote facilities to house thousands of migrants in California, Alabama and Arizona. For now, the personal toll is high for those caught in Immigration and Customs Enforcement's net. Nila Serrano waited for more than three hours Friday inside a drab Department of Homeland Security (DHS) office in downtown Baltimore hoping to post bond for her sister-in-law Delsy Guadalupe Serrano Torres, who goes by Lupe. 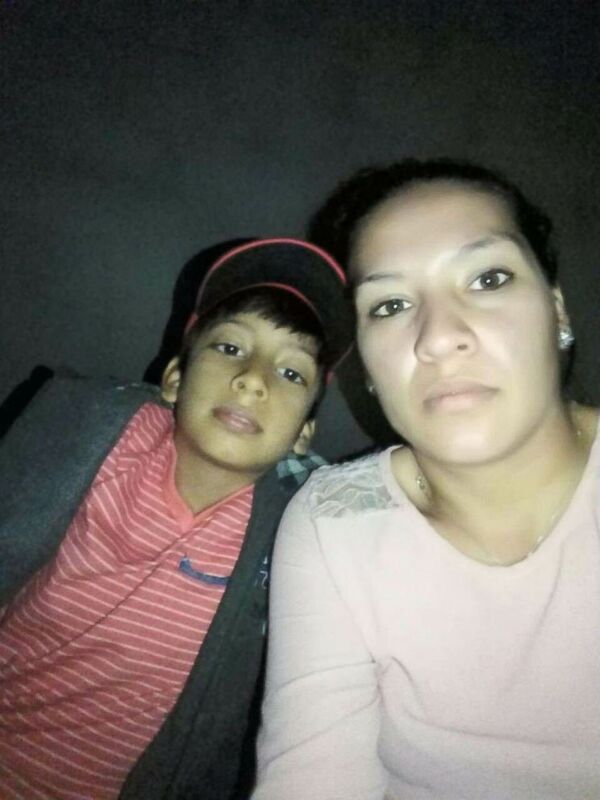 Lupe fled domestic violence in Honduras and crossed illegally into the U.S. in mid-May with her 8-year-old son Danny, Serrano told ABC News Friday afternoon. She was apprehended by Border Patrol and is currently in an ICE detention facility in El Paso. Meanwhile, Danny has been placed with a foster family in Manhattan. (Nila Serrano) Delsy Guadalupe Serrano Torres, who goes by “Lupe,” and her son Danny, 8, have been separated since the two were apprehended crossing the border in mid-May. Lupe is being held at an ICE detention center in El Paso, Texas, while her son lives with a foster family in New York City. Danny’s aunt, Nila, has been going through the process to become an official HHS sponsor for Danny. The paperwork was done, but she was waiting for the results of the fingerprints. Until then he will remain in New York, according to his aunt. "It's been traumatic, very traumatic," Serrano said of her sister's separation from her son. "You know, just as she told me, she's like, 'Well, you're a mother. You know how it is.' I mean, you wonder if your child has eaten, if they're sleeping OK. Are they safe? You wonder those things, you know? And now it's just a long ... long separation that should not have happened." Serrano thought she was going to be able to get her sister-in-law released from detention Friday; she even bought her a Greyhound bus ticket to Maryland. But the Baltimore office closed at 3:30 p.m. and she was told the El Paso office was at lunch. She said she will go back Monday and try again. ABC News' Patrick O'Gara contributed to this report.